What would you do if you had to immediately run a display ad campaign? You know what your specific budget is; it’s also likely that you know which ad networks or publishers you intend on using to distribute your ads. Among other things, you’ll need to assign the task of banner ad creation to your web designer. To do this, you will have to choose the sizes of these banners. This is an important decision because different sizes have different Impression Shares and fit into a diverse number of ad networks. Impression shares influence how many people will see your banner and determines the effectiveness of its advertising potential. Knowing this, how do you swiftly choose what size banner to use so that you receive positive results quickly and don’t lose money in the process? Using Adbeat software and Excel, we performed the research and figured out which banner sizes work better. Adbeat is a tool that allows you to monitor advertisers and study their display campaigns in detail. With its help, you can find a wealth of useful information about your competitors’ ads. Try it for free right now. We analyzed more than 40,000 banners with a total budget of over 6 billion dollars. We looked at advertisers with an estimated spend of at least $3000 on each of these banners over the last two years. 4000 banners of each popular banner size and a smaller number of other not-so-popular sizes were included in the analysis. We learned what size banners have the largest Impression Shares and what size banners are most suitable for use on the largest number of advertising networks. 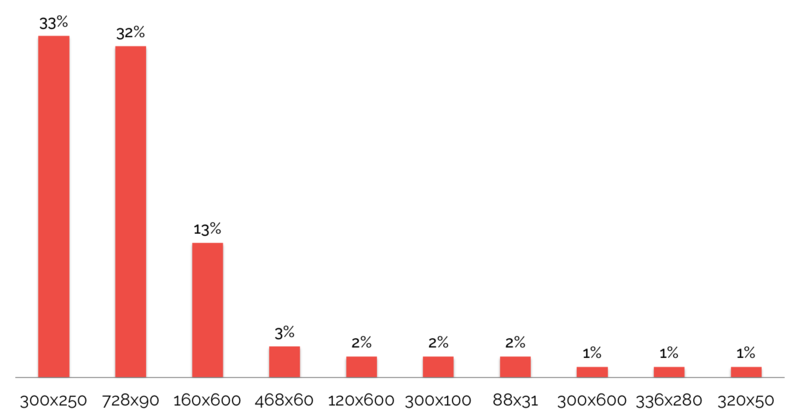 Moreover, we learned what size banners advertisers consider the most effective. Next, we considered how much spend advertisers were able to achieve on specific sizes, and how many days on average each size ran. After this, we chose the most effective sizes relying on the comparison of parameters such as days seen and ad spending. Three different categories of advertisers were considered: those with an estimated spend of $3,000 to $20,000, those with a spend in the range of $20,000 to $100,000, and those with a spend of more than $100,000. After categorizing the advertisers, we looked at each category and looked at how this spend was allocated across all banner sizes. In this article, utilizing our research, we will provide a number of tips for choosing the most effective banner sizes to quickly start a display ad campaign. Before we delve deep into the analysis of banner size, we can say that two sizes are unsurpassed when quickly starting a successful display ad campaign. Adbeat and Google statistics confirm this. These sizes are 300×250 and 728×90. This means that many publishers are currently ready to place banners of this size, and as a result, there are more places available for consumers to see your ads. 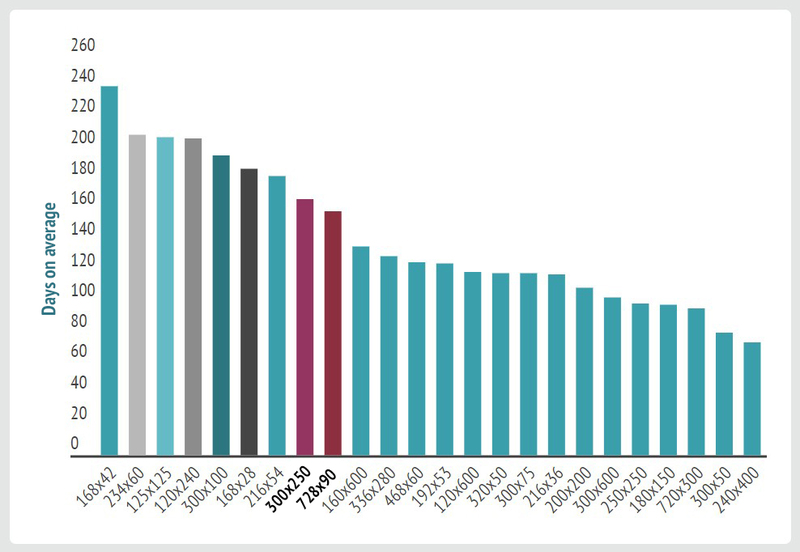 According to our data, in the last two years, banner sizes 300×250 and 728×90 were used for an average of 167 and 158 days respectively. The data imply that these ads are effective and advertisers continue to use them. We took all banner sizes for two years and found out for how many days on average these banners were used. Using Excel, we relied on such parameters as Days Seen on average and Size. Thus, sizes 300×250 and 728×90 are a must-have for any advertiser who wants to run a display campaign as quickly as possible and wants to start with the most effective sizes possible with high reach. Another element can help you with quickly choosing an appropriate banner size—your advertising campaign budget. 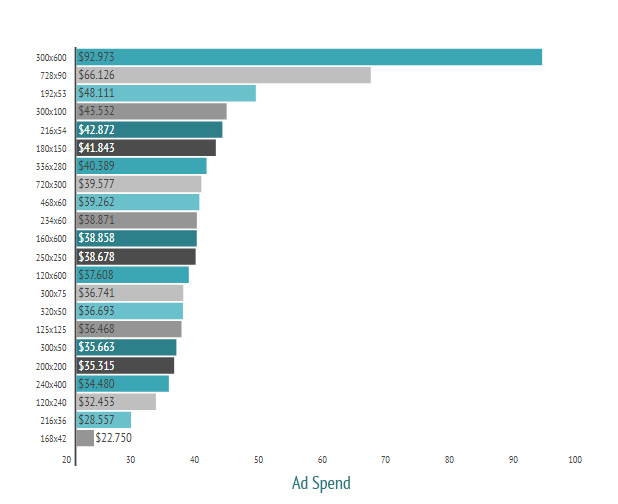 First, we analyzed ads of those advertisers who had an ad spend from $3,000 to $20,000. Second, we reviewed all ads of those advertisers who had an ad spend from $20,000 to $100,000. 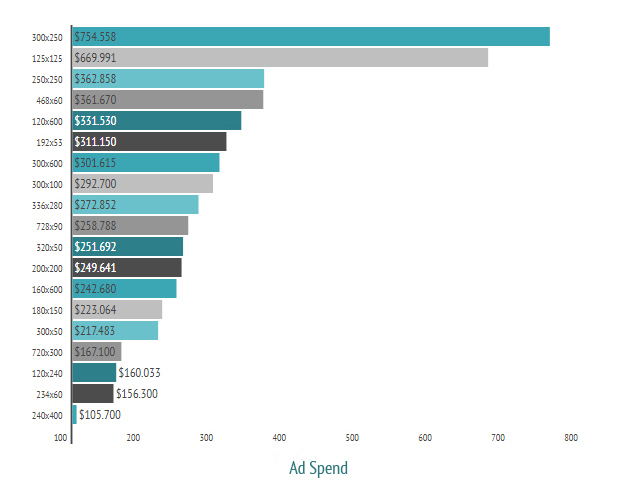 Finally, we studied the most high-budget ads, namely the banners of those who had an ad spend of more than $100,000. We only looked at what sizes of banners are used more in each of these three categories. Of course, companies from the “richest” category may unconsciously spend a large budget on these sizes. 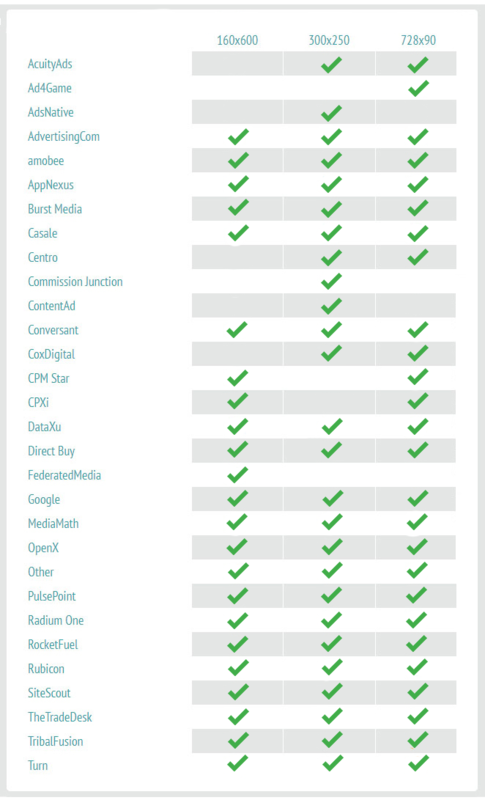 For example, a network has more sites with certain banner sizes. So it simply allocates more of advertisers’ budgets for these sizes. Thus, advertisers themselves may not have the opportunity, or intention, to distribute the budget between different banner sizes. 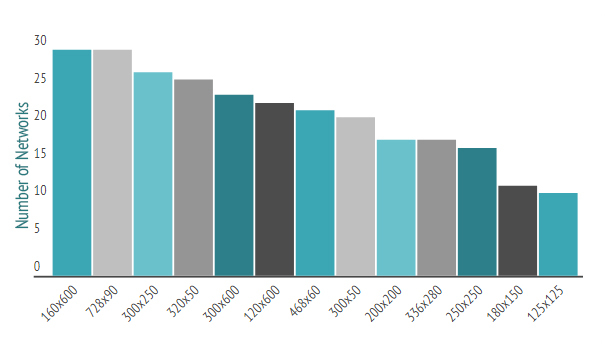 Advertisers with $3K-$20K budgets spend it mostly on sizes such as 336×280, 250×250, and 480×60. On the left are the banner sizes. They are located from top to bottom in order of decreasing popularity. 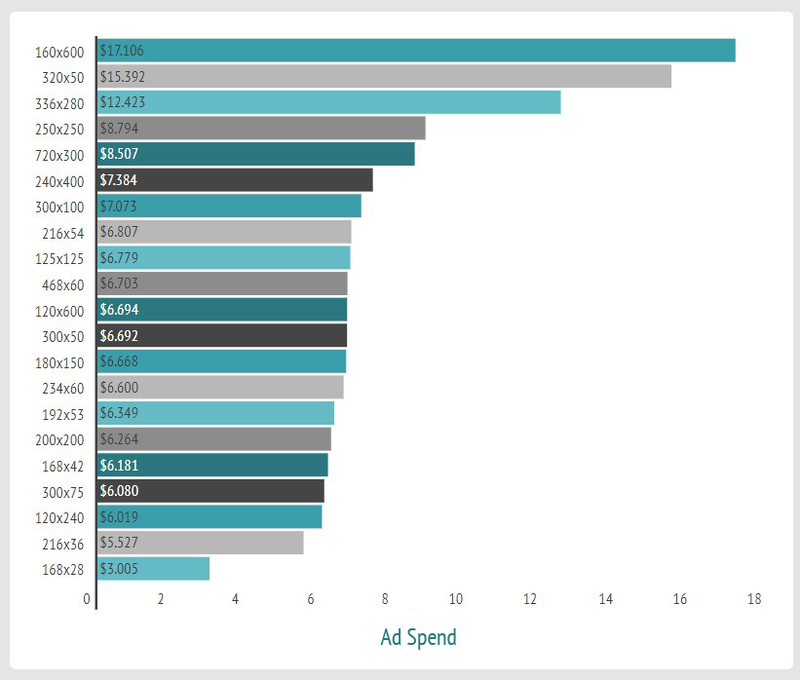 Each bar indicates (in thousands) the average amount of money that advertisers from this category spend on banners of that size. Advertisers with budgets from $20K-$100K spend it mostly on sizes such as 336×280, 160×600, and 250×250. Advertisers who spend more than $100K spend it mostly on sizes 300×250, 300×600, and 728×90. So what advice can we give based on these results? The first piece of advice is rather simple and straightforward. If you want to have the potential to scale up your campaigns to higher ad spends, then there are only certain banner sizes that have the potential to get you there. These are the banners with the most publisher inventory available, and where your campaign will get the most reach. Sizes such as 300×250, 300×600, 336×280, 728×90, 160×600, 468×60, 125×125, and 250×250 are popular sizes on desktop. For mobile, 300×100, 300×50, and 320×50 are good choices for scale. Finally, if you want your creative assets to work across many different networks there are certain sizes that are best for that as well. Another approach to choosing the size of a banner is its convenience. After all, if you choose a banner that fits many ad networks, you can use it in a large-scale display campaign without having to re-do it every time. For your convenience and saving time, we created two charts with banner sizes that are suitable for many networks. The charts can assist you with choosing a banner that will be universal, and that will not need to be redone for every individual ad network. You will note that sizes 160×600, 728×90 and 300×250 are the most convenient for usage. If you instruct your web designer to utilize these sizes, you will be able to quickly use banners with these formats in almost 30 networks without needing any rework. These 3 sizes are a great place to start, then build out other sizes for testing depending on how the campaign is performing with these core sizes. An attentive reader may have noticed that we didn’t use native ads in our research and had not even mentioned it in the article yet. The rise of native advertising formats is undeniable. 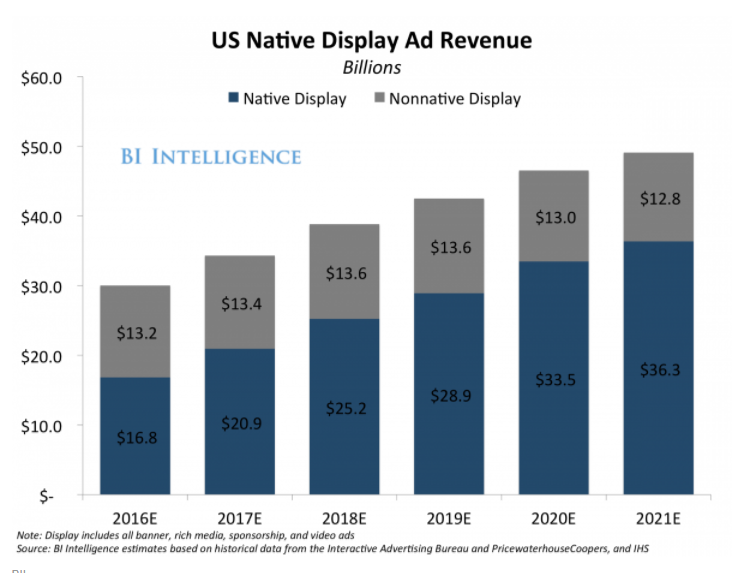 According to Business Insider, native advertisements are on track to rise up to 74% of total US display ad revenue. Most native ad formats are responsive with text copy and an image provided, so size is not the most important metric when it comes to native advertising. These ads display on each page differently, depending on the layout and widgets, so we didn’t focus on their sizes. For instance, Native Ad Express, an AdMob built-in interface (for the time being), offered several template sizes with a range of height and width values rather than making users choose a fixed size. This is why we did not include native ads in the research that was done for this article. When you’re first planning out the launch of a new display ad campaign, there’s a lot of decisions to make. In addition to such things as determining the budget or choosing a strategy, you’ll need to decide which banner sizes to use for your display campaign. To start with the highest chances for success and to begin as quickly as possible, there are some banner sizes that are better than others. Don’t forget to use banner sizes 300×250, 728×90, and 160×600. They are a must-have since they work great on many ad networks and you will not have to repeatedly redesign the banner for each new ad network. Experiment with different banner sizes only after getting some data on the sizes listed above. If you’re getting good results already, and you have an additional budget to spend now is the time to increase scale with additional sizes. Don’t start out with dozens of sizes, especially if you have a limited budget. Most of the sizes are unlikely to work well and you might run out of a budget that could have been spent first on more effective ad formats. How have you handled choosing banner sizes to kick off a display ad campaign previously? 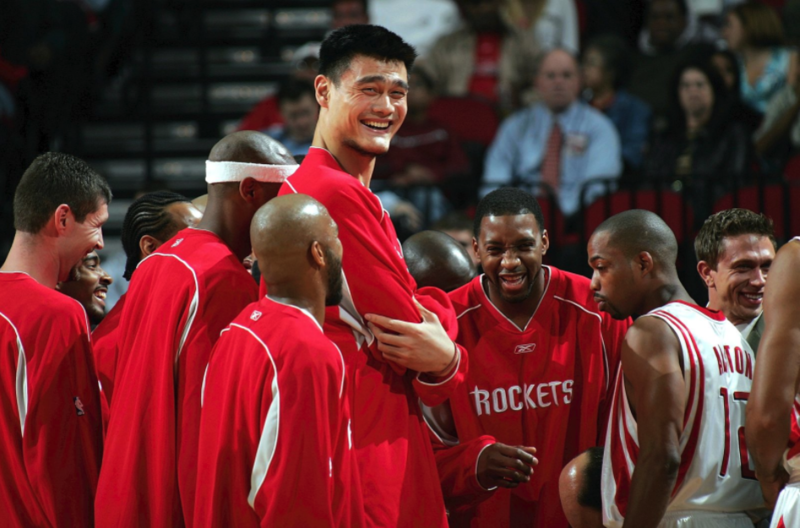 Have you noticed that some sizes work better or worse? 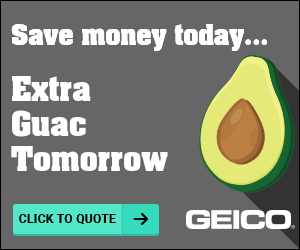 What advice would you give to those who need to quickly decide on the size of their ad banner? Please, share your experience in the comments!